Breaking the suspense over its election plans in the state of Uttar Pradesh for the upcoming 2019 Lok Sabha elections, the Congress on Sunday announced that it will be fielding candidates on all the 80 Lok Sabha seats. This was informed by senior party leader Ghulam Nabi Azad, who is also the Leader of Opposition in the Rajya Sabha. “We will fight all 80 seats in Uttar Pradesh in the Lok Sabha elections. We are fully prepared. 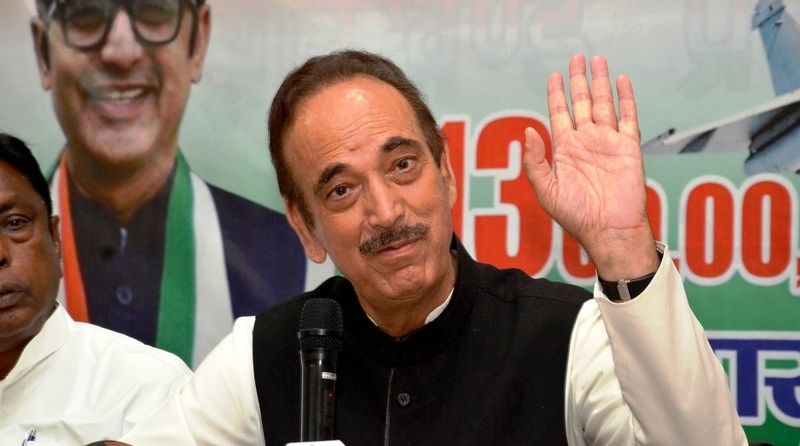 And just like the Congress emerged the number one party in Uttar Pradesh in 2009 Lok Sabha elections, it will happen again in 2019,” said Azad while interacting with the media in UP capital Lucknow. “We had earlier also said that we are ready to walk with every party that wants to defeat the BJP. But we can’t force anyone. They have (SP-BSP) closed this chapter, so we will continue this fight to defeat the BJP on our own,” he added. On Saturday, the Bahujan Samaj Party (BSP) and Samajwadi Party (SP) had officially announced their alliance ahead of the 2019 Lok Sabha elections, keeping the Congress out. While BSP and SP will contest on 38 Lok Sabha seats each, they have left two seats for other parties. “We have left Amethi and Rae Bareilly for Congress, which is not part of our alliance,” Mayawati had said addressing the media at Lucknow’s Hotel Taj on Saturday. “BSP and SP are not going to get any benefit from an alliance with Congress. Our experience is that we do not get votes on seats we leave and they go to the BJP. Congress benefits from us but honest parties like us do not get any benefit,” Mayawati had said, drawing attention to the BSP’s alliance with the Congress in 1996 and SP’s in 2017. Azad was speaking after a meeting at the party’s state headquarters in Lucknow.